Bangkok Marriott Marquis Queen’s Park is celebrating after it won six awards at Asia Pacific Property Awards 2018, one of the most recognized and prestigious awards in hotel and property industry in which all leading hotels around the world participated. The downtown hotel, which opened in December 2016 to become the first Marriott Marquis hotel in the Asia Pacific region, took home six prestigious titles at the grand award ceremony held at the Bangkok Marriott Marquis Queen’s Park. 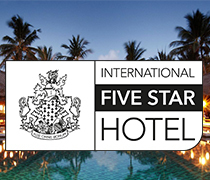 The six awards included “Best Large Hotel for Thailand”, “Best City Hotel for Thailand”, “Best Convention Hotel for Thailand”, “Best Large Hotel for Asia Pacific”, “Best Convention Hotel for Asia Pacific” and “International Five-Star Hotel 2018 – 2019”. The hotel not only beat other formidable competitors to scoop the six awards but also won the “Best City Hotel for Thailand” and “Best Convention Hotel for Thailand” awards for two consecutive years. Bob Fabiano, General Manager of the Bangkok Marriott Marquis Queen’s Park, said that since the official launch in 2016, the hotel has determined to be the leader in the industry by providing guests with world-class services in guestrooms, function and convention rooms. 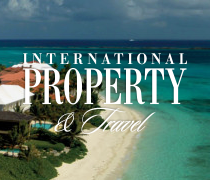 The efforts are aimed at giving unique experiences to travelers from all over the world. With its prime location in the heart of Bangkok’s Sukhumvit district, Bangkok Marriott Marquis Queen’s Park is perfectly positioned for all types of traveler. Its extensive collection of 1,388 rooms and suites with world-class facilities makes it the largest hotel in Thailand’s capital city. The location is exceptional as it is close to the city’s main business and leisure destinations, and the BTS skytrain network. This, adds to its urban appeal. Winning the prestigious “Best City Hotel for Thailand” for two consecutive years reaffirms Bangkok Marriott Marquis Queen’s Park leading position. To be awarded the title of “Best City Hotel for Thailand” was the jewel in the crown for Bangkok Marriott Marquis Queen’s Park. As the only Marriott Marquis hotel in Asia Pacific, the hotel is truly one-of-a-kind. In addition to its extensive collection of rooms, suites and function spaces, the property also offers a choice of authentic restaurants and extensive leisure facilities, including the exquisite Quan Spa. The Marriott Marquis label is only assigned to hotels more than 1,000 rooms with in excess of 5,000m² of conference and banqueting space, so it doesn’t take anyone by surprise that Bangkok Marriott Marquis Queen’s Park was named as “Best Convention Hotel for Thailand and Asia Pacific”. This impressive property with more than 37 function venues including three large ballrooms, making it the ideal destination for all types of events, from large corporate conferences to exclusive social soirees. 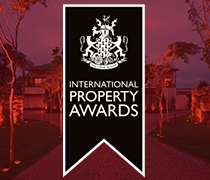 The Asia Pacific Property Awards celebrate the highest levels of achievement in all sectors of the property and real estate industry. Entries were received from as far afield as Australia, China, India, Japan, Thailand, and the UK, so for Bangkok Marriott Marquis Queen’s Park to have received these six awards is truly an outstanding achievement.